When cities are located on ancient trade routes they evolve into prosperous areas with a charming mix of nationalities and ethnicities. So is the case with Nanchang, the capital of Jiangxi Province, China. It has evolved into a powerful financial, trading, political, educational, cultural, scientific, and communications hub over the centuries. It is one of the biggest links between the Pearl River Delta and the remote regions of China. 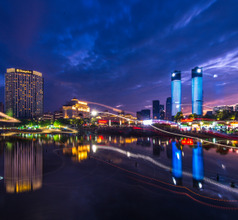 As a tourist destination, Nanchang City has unparalleled scenic areas and has the most magnificent natural landscapes. 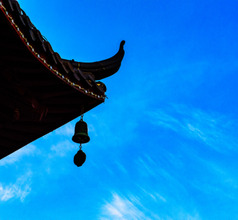 It lies on the banks of the Gan River just before it flows into the picturesque Poyang Lake. The region is also surrounded by scenic areas of artificial lakes like the West, North, East, and South Lakes. Each scenic area has its own special historical, religious, cultural, ethnic, and topographical attractions. Its proximity to a UNESCO World Heritage Site has increased the city’s popularity as a tourist destination. 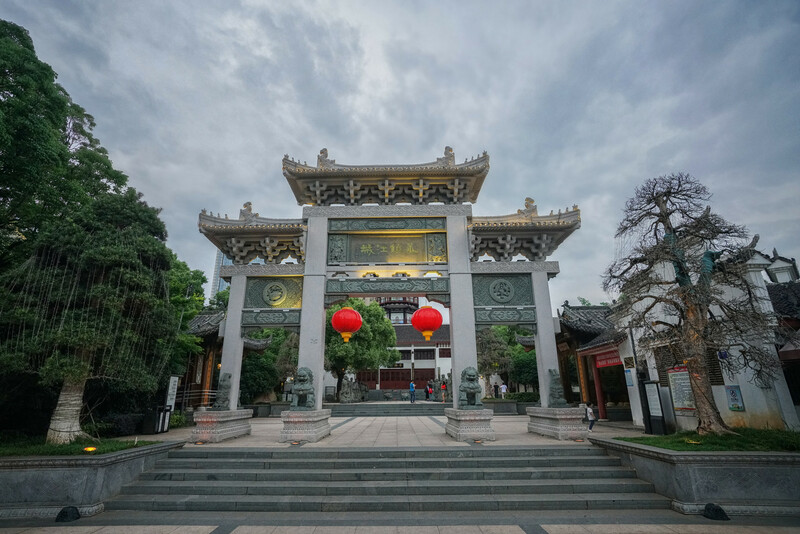 The history of Nanchang City goes back more than 2,200 years when, in succession, it was part of the Xia, Shang, Zhou, and the Western Han Dynasties. 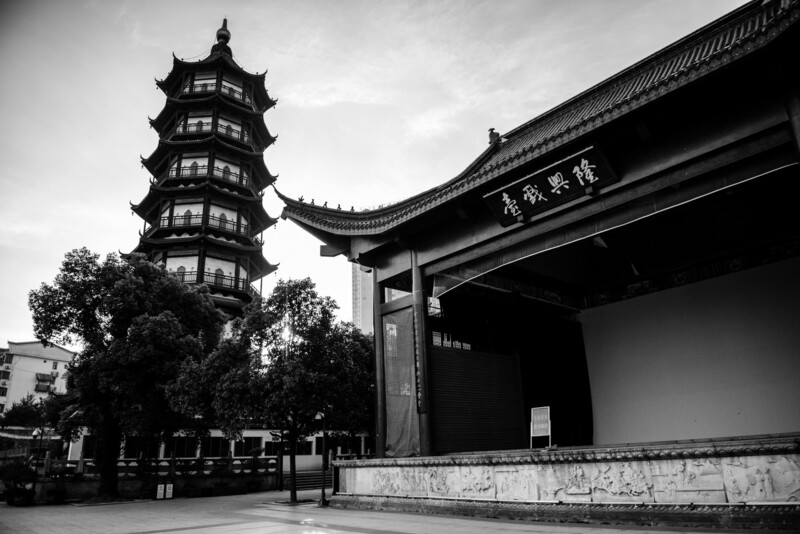 During the Han Dynasty era, the city had several names like Hongdu, Guan, and Yuzhang. The city was also a key player during the Communist movement when the imperial reign ended. So over the ages, the region has produced many warriors and key statesmen who have been known for their valor and integrity. From ancient times till date, there is a high level of education in the city and the local people have always been and still are very cultured. 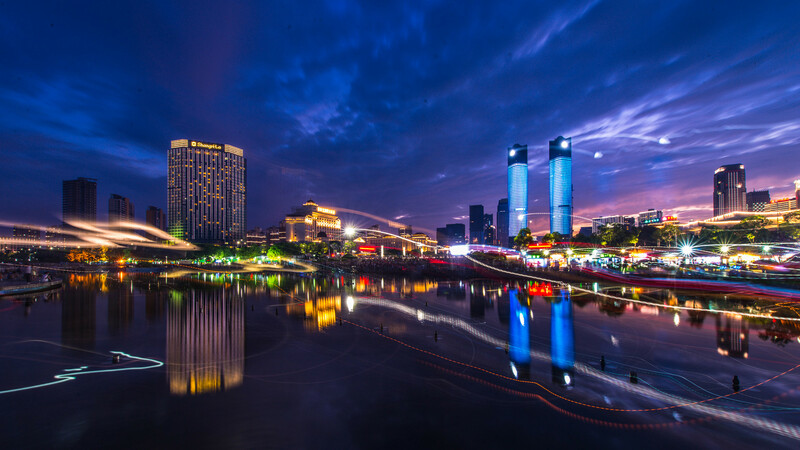 With the recent efforts of the government and major investments, the modern-day Nanchang City has turned into a modern metropolis surrounded by greenery. 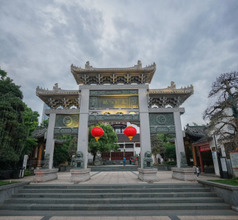 There are highly urbanized zones and commercial areas in downtown Nanchang but the outskirts of the city have still maintained the picturesque landscapes of lush greenery and ancient relics. There are several commercial centers in the city like the Shengli Road, Xiangshan Road, and Bayi Avenue where one can get beautiful souvenirs. These markets have shops selling aromatic tea, and exquisitely crafted handmade tea sets, Jiangxi special paper fans, porcelain with portraits designed on them (a specialty of the city), and other affordable items. 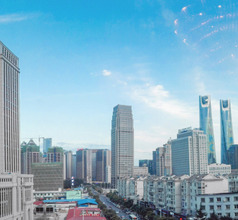 Nanchang City is a metropolis and the world’s best brands in hotel accommodation have set bases here. The 5, 4, and 3-star hotels vie with each other to provide tastefully designed rooms and beautifully decorated shared areas. Their in-house restaurants ensure that different types of gourmet meals with International flavors are served. 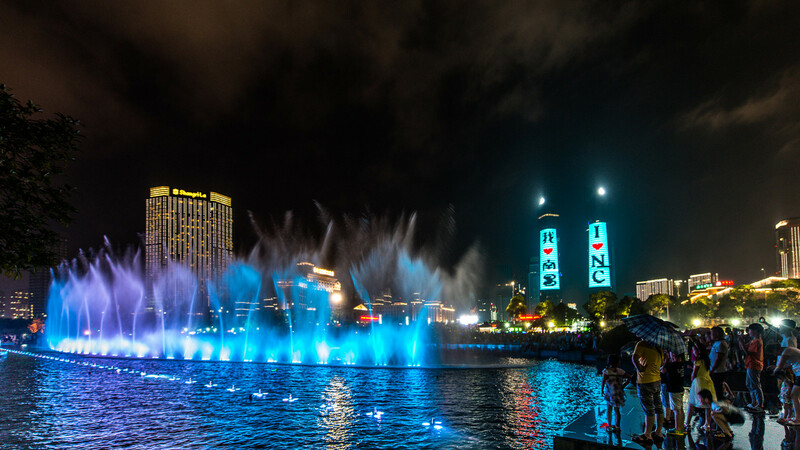 According to their star-rating, the hotels offer various amenities like airport shuttle, concierge service, housekeeping, laundry, babysitting services, sightseeing tours, indoor/outdoor swimming pools, recreation centers, luggage storage, lockers, and more. One can also find a lot of choice in budget accommodation (with basic amenities) in Nanchang City like 2-star hotels, service-apartments, inns, grade-one hotels, youth hostels, etc. Lu Shan National Park, a world-famous UNESCO heritage site lies about 125Kms from Nanchang City. In fact, the city is a convenient stop-over to visit this scenic area at a leisurely pace. The park consists of some of the most magnificent landscapes of 90 mountain peaks, deep valleys full of greenery, waterfalls, rivulets, ancient grottoes, and more. The tourist attraction is divided into 12 scenic areas with 300 ancient steles, 900 cliff carvings and inscriptions, and 37 ancient monuments. 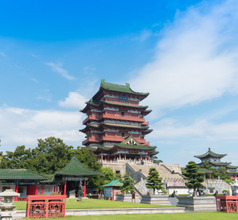 One of the most significant monuments in Lu Shan Park is the Shangqing Palace on Mount Longhu. 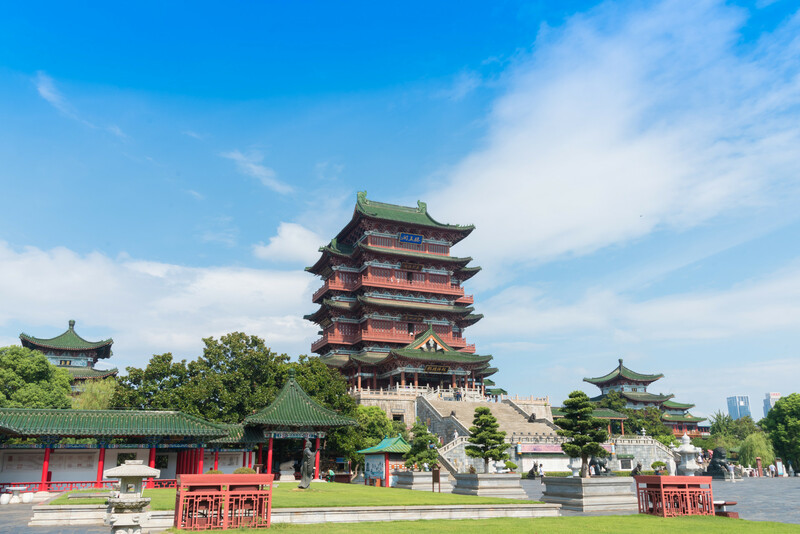 It was first built during the Eastern Han Dynasty and was an imperial palace as well as a place of worship. Another irresistibly beautiful scenic area is around the Poyang Lake. It is often referred to as the “pearl of China” due to its fascinating natural landscape. The Lake is rich in natural resources like aquatic plants and a variety of freshwater fish. Rare species of migratory birds are also attracted by the sheer beauty of Poyang Lake. Consequently, it also attracts tourists, naturalists, birdwatchers, biologists, and nature lovers. 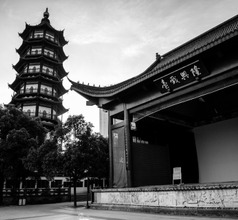 The surrounding regions of Nanchang City also have well-known historical monuments and tourist attractions. The site called “Five Sentries” on Mount Jinggang is an attraction that has historical significance and magnificent views. This site consists of five strongholds built for the Chinese Red Army that played a significant role during the Communist revolution. The Bayi Monument is another historical site where the first battle between the Communist revolutionaries and the Chinese imperial army was fought. Both these attractions have artifacts showcasing the valor of the revolutionary heroes. 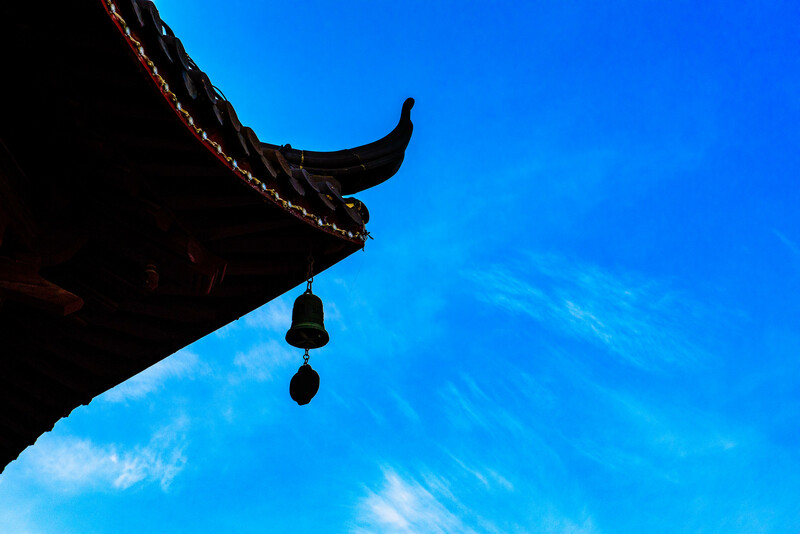 The Sheng Jin Tower (Rope and Gold Pagoda) is a Buddhist relic built in the 10th century during the Tang Dynasty. Nanchang Changbei International Airport has 2 terminals, with Terminal 1 undergoing work. The airport is modern and well-planned though it closes at night. Getting to downtown is possible by 3 lines of the Airport shuttle which takes 40 minutes (cost RMB15), public buses taking 2 hours or cab which takes 30 minutes with different fares for day and night (unto RMB120). Important domestic airports are served, as are ports in Korea, Thailand, Singapore and Vietnam. 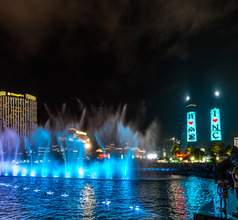 Nanchang City being a metropolis has its fair share of pizza and burger outlets for the convenience of western tourists. It also has several specialty restaurants serving cuisines of other provinces of China like Sichuan, Guangdong, Hunan, etc. The local food of Nanchang City is called Gan Cuisine which is very aromatic and delicious. A few of their local delicacies are fish served with shredded bamboo and ham, shredded pork with green peppers, deep-fried boneless chicken with walnuts, pork or eggs in brown sauce, deep-fried beef balls, spicy dumplings stuffed with meat or fish, Nanchang rice noodle with fried dough twists, spicy hotchpotch, fried rice crust (crispy style), etc. There are several kiosks selling various types of dumplings and other local snacks in their night markets on Zhongshan Street or Xiangshan Bei Street.